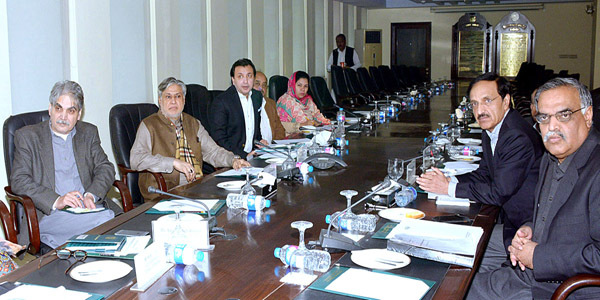 ISLAMABAD, Dec 25 (APP): Minister for Finance Senator Mohammad Ishaq Dar chaired a meeting here at the Finance Division to review the measures taken by Federal Board of Revenue on increasing the direct collection of taxes. Chairman FBR, Nisar Mohammad Khan, briefed the Minister on the different models adopted by the countries around the world to increase the direct collection of taxes. The Finance Minister was presented different models to mobilize revenue generation by Chairman FBR and his team along with the necessary framework. The Finance Minister directed Chairman FBR to prepare a comprehensive plan that may be implemented through the next Finance Bill. The Finance Minister also directed FBR to take all measures that would facilitate the voluntary tax payers and filers; he also directed that there should be a clear distinction between filers and non-filers. The FBR will present their firmed up proposals in the next meeting which will be held soon. The meeting was participated by senior officials of the Finance Division and Federal Board of Revenue.